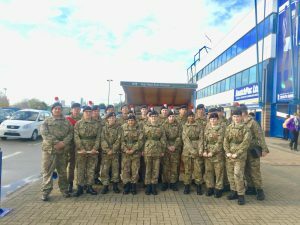 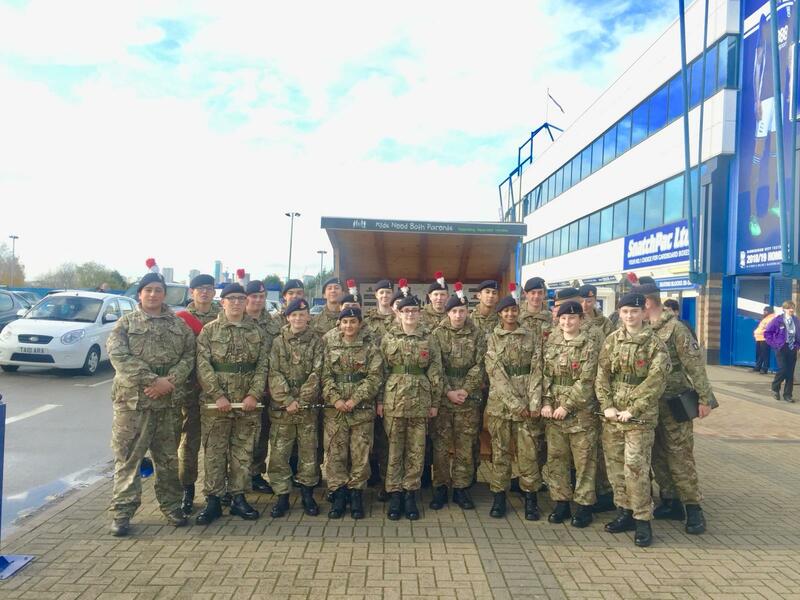 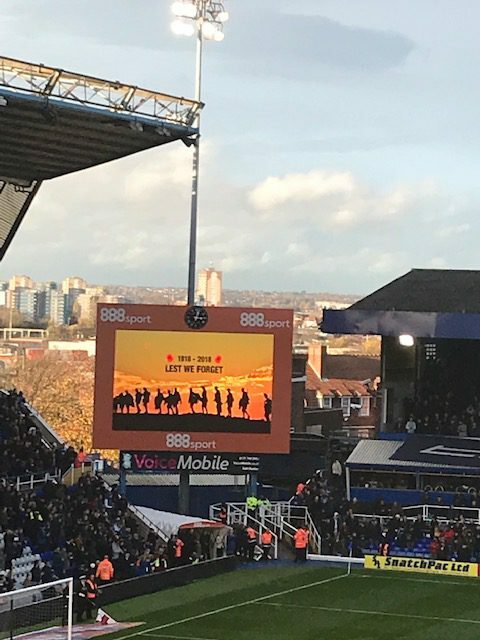 ‘Kids Need Both Parents’ were delighted to be able to listen the Warwickshire and West Midlands Army Cadet Force band who were at St Andrews outside the Kop on Saturday 10th November. 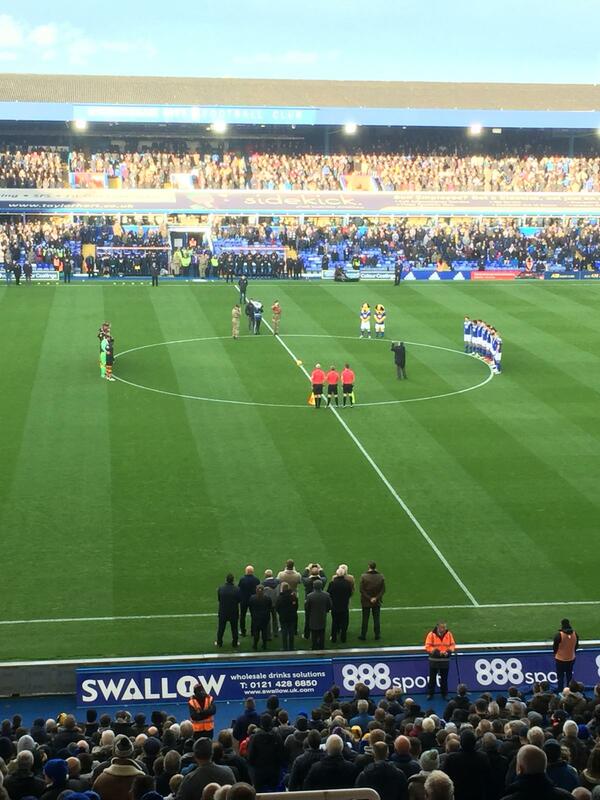 After 2 minutes silence was observed, the match began. 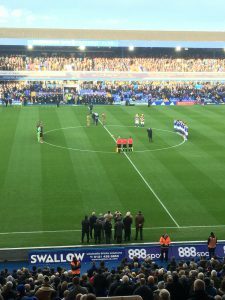 Blues were in the lead at half-time with 2 goals from Che Adams. During the second half, Hull came back and scored 3 goals, but Blues never gave up and Che Adams scored a hat-trick to make the game 3-3.